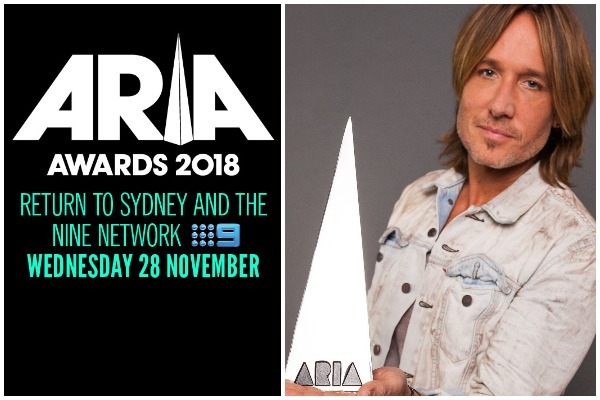 Keith Urban is returning home(Australia) to host ARIA Awards 2018 and bringing his spouse Nicole Kidman too. Aussie music superstar – Keith Urban is returning home to host music’s night of nights on November 28th in Sydney. New Zealand born Keith Urban won prize for Best Country Album – Love, Pain and the Whole Crazy Thing in 2007. After 11 long years hosting gig will mark Urban’s first appearance at the ARIAs. There is something more for us to be excited as Keith Urban have promised to bring his wife Nicole Kidman at the ARIA Awards 2018. Isn’t this is cherry on the cake seeing Nicole Kidman in the front row humming to music and cheering the host of the night – her husband Keith Urban! “I’m really looking forward to coming home and celebrating an incredible year of Australian music,” Urban said in a press statement. Keith Urban released self titled debut album charted four singles in Australia in 1991 and moved to United States in 1992. Three time Grammy winner Keith Urban married to Big Little Lies actress Nicole Kidman in 2006 and the couple have two children. The ARIA Awards 2018 will be held in Sydney on Wednesday November 28. Have you bought your tickets for the biggest music’s night? If not check at Aria Awards website. Stay tuned and subscribe at Eventznu for all the latest Entertainment news and updates. Previous : Comedian Bharti Singh, Husband Haarsh Limbachiyaa Hospitalized Due To Dengue! Next : See Pics -‘Baa Bahoo Aur Baby’ Fame Actress Suchita Trivedi Ties The Knot With Nigam Patel!